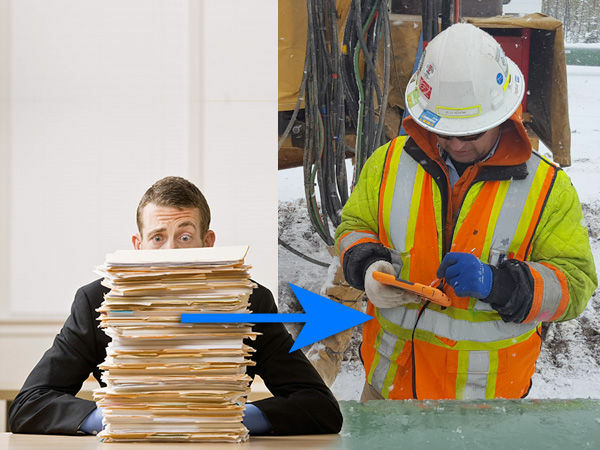 Experience a day in life of a pipeline construction inspection team when Pipeline Enterprise is involved to find out how it has made their work simpler, quicker, more accurate and efficient. 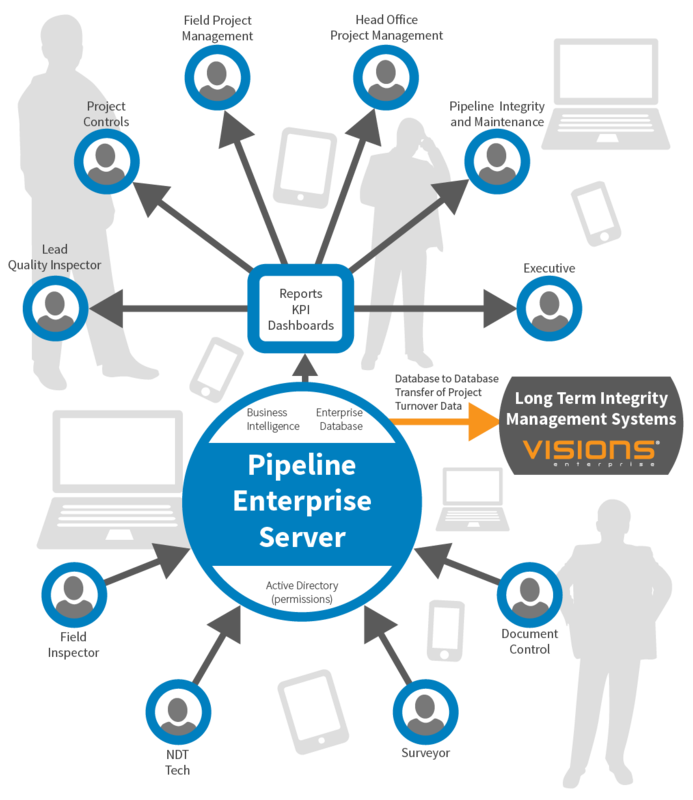 Would you like to see the Pipeline Enterprise software in action? Just click on the button below to send us a message and we will gladly schedule a presentation for you! Pipeline Enterprise is the most powerful, easy to use mobile solution for data capture on the right of way. An update to the process of manual data entry into spreadsheets, Pipeline Enterprise takes input directly from inspectors and transfers it into a central reporting system. 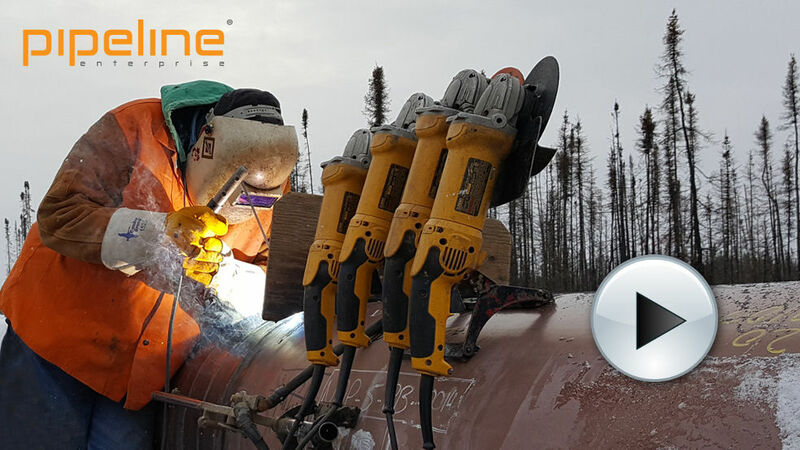 Our platform works in remote project locations and can be used across all pipeline construction projects. It resolves all the issues related to inconsistent data associated with quality, construction progress, personnel and project performance. Pipeline Enterprise software is built from the ground up with proven engineering principals and based on global industry best practices. Software components are engineered with advanced Mobile, GPS, GIS, DataStore and Cloud technologies to be ubiquitous in its Accessibility, Usability and Interactivity. 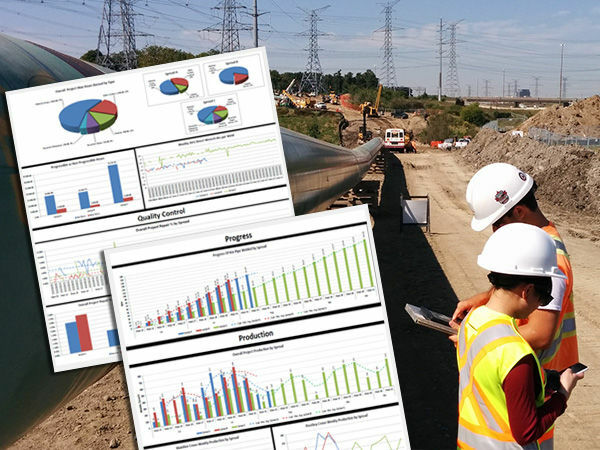 The unique feature that differentiates Pipeline Enterprise is the ability to manage any number of pipeline construction projects and deliver specific project information to stakeholders in real time. Data entry validation is enforced on all applications and ensures that inspectors enter complete and consistent data. They can see a copy of their report before submitting it, and they sign off with a real signature recorded on the iPad. 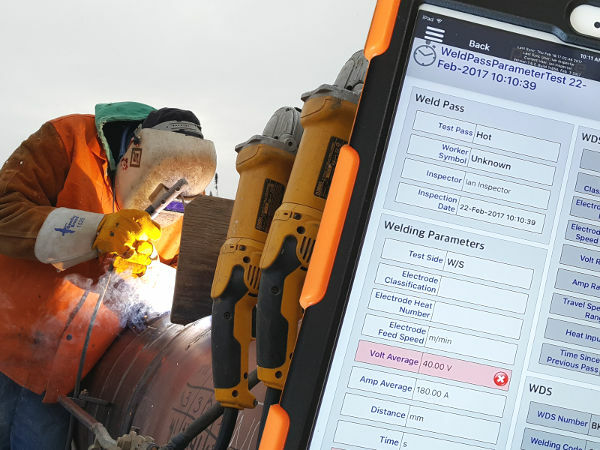 Reports are delivered from all welding and craft inspectors over wifi to a central database. Problems in the field can be addressed immediately as the applications give real time feedback. Reduce dig ups by staying informed on progress. 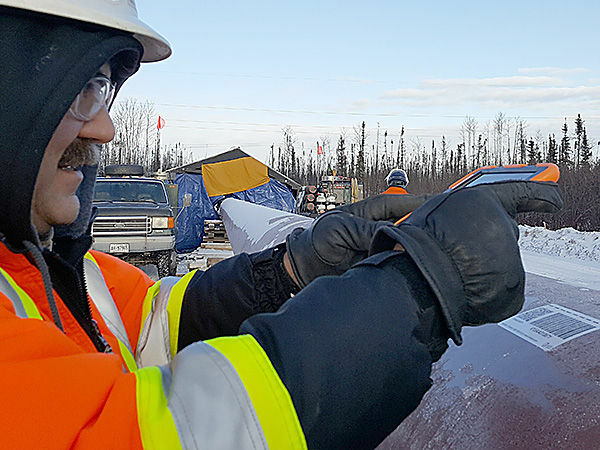 Real time inspection report capturing and data synchronization leaves more time for inspecting in the field. Have all construction data at your fingertips from all projects. Eliminate the need to record by paper then retype info into spreadsheets. Gain back two hours of time on the right of way during your construction day. Increase efficiency across your company by lowering man hours lost to redundant data entry, report consolidation, document management, and transcription to long term integrity databases. There are too many benefits to name. Please contact our sales department to show you where we can save you money. I’m getting older, and hate computers. I’m 64 and have 40 years experience in weld inspection. What I like about the tablets is that it makes it easier to do my job with minimal computer knowledge. Lately, inspectors are being hired with more computer experience than welding knowledge. I think it puts me on an even playing field. The tablets will make it easier to keep working if I want to. We believe in establishing business relationships. We’ve invested our efforts where it matters - in customer service and building industry partnerships to make a better software solution for your business. We don't hide behind buzzwords or marketing gimmicks, we’re honest and upfront. We are committed to clarity in our communication and our pricing. We like doing business with companies that value great service, honesty, respect and passion for integrity. We hope you do too, because those are the values we built our business on. We know that if software is confusing or frustrating to work with, you won’t use it. We’ve designed Pipeline Enterprise to be easy to understand and to work with. Users will be up and running in minutes.